mean you have to use an automated machine. Everyone knows about the one touch pod machines that you can buy at any supermarket, but these don’t really seem the right solution for your business do they? Your boss wants quality coffee for his meetings, the team deserve better than instant and you love your morning coffee. So what is the simple solution? I bet you have looked at the simple one touch or vending style machines thinking how good the no fuss approach would be, but in the back of your mind you aren’t really sure how good the coffee is, the limitation on taste / style and how reliable they will be in your busy office. Our Business Pack was put together to solve this very problem, we think this includes everything that a typical small to mid size office will need to get started. We bring this to you, install it and train your team. Making coffee is so simple, it makes no mess, and no one has to waste time standing around to clean the machine. As commercial grade machines we back them to produce high quality coffee day after day without problem, and if by any chance the machine is having a bad coffee day we just need a call to come and give it a health check. No one deserves bad coffee, we sure don’t expect our customers to have one. We don’t bring any milk unfortunately but that’s all you have to bring to the party. 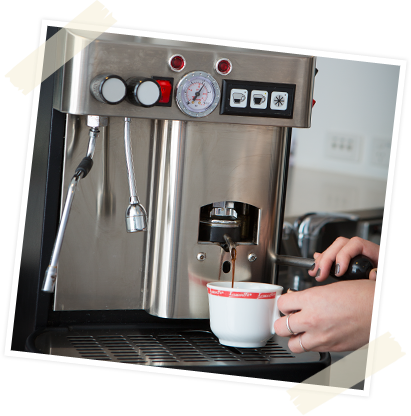 The Lucaffe Business Pack solution means you can don’t have to worry about getting quality coffee, a messy kitchen or how to look after the machine. And you get to watch your team smile when they see us unpack the machine and then taste their first Lucaffe Coffee. Ongoing ordering is easy too, you just do it online and we usually dispatch them the same day. Simple, no fuss, quality coffee.